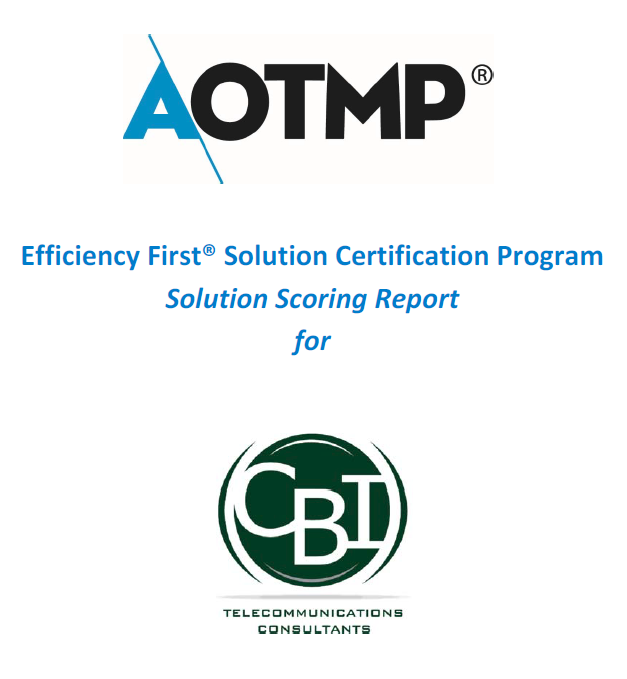 For the past four years CBI Telecommunications Consultants has been an AOTMP Efficiency First Certified Solution. Earlier this Spring, CBI re-certified with AOTMP, and we are proud to announce that we scored 1,000 points on a 1,000 point scale! This qualifies our GTEM Solutions, Audit and Optimization Package, and Procurement and Help Desk offerings as Efficiency First Certified Solutions. We would like to thank everyone at CBI for all the dedication and hard work put in to get us this result. Within the solution capabilities of the report, AOTMP noted, “CBI Telecommunications Consultants’ solution capabilities align with Efficiency First® Framework solution and vendor focus area principles for a Telecom Expense Management (TEM) and Enterprise Mobility Management (EMM) vendor supporting an organization’s fixed and mobile telecom management practice. CBI’s Solution supports all Mobile Telecom services and all but three of the Fixed Telecom Services. focus on other internal initiatives, and streamlined telecom management processes. Clients also cited CBI Telecommunications Consultants’ wireless technology knowledge and contract negotiations knowledge as specific factors that led to clear engagement value. CBI Telecommunications Consultants’ clients participated in a client experience questionnaire to gauge satisfaction with the performance and quality of its solution capabilities. 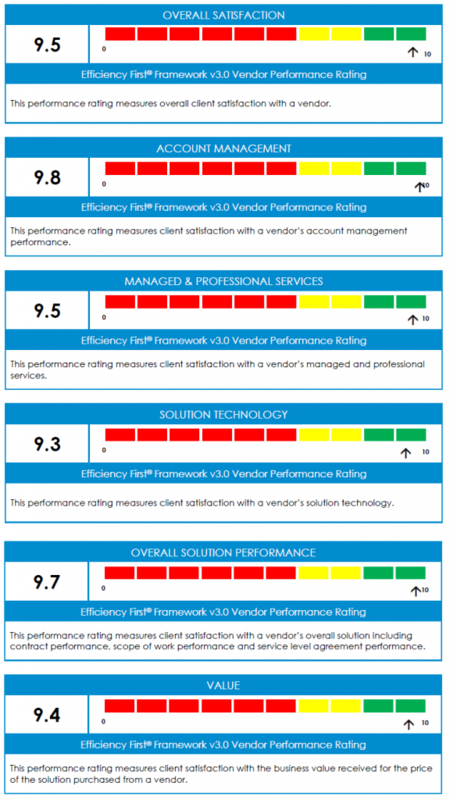 Six (6) business relationship and solution suite attributes were evaluated. Client experience questionnaire responses from ten (10) current client accounts were captured and evaluated.